In today’s economic environment, you need an accountant who has both the skill and real-world expertise necessary to guide your family, its members, and your business through the ever-changing tax codes and regulations as well as provide critical planning for the future. Licensed New Jersey health and life insurance producer (and trained to assist with health insurance plans for individuals and small groups on the federally facilitated marketplace). 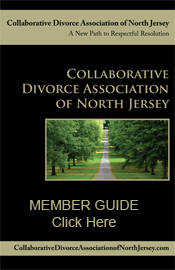 Angela’s memberships and affiliations include: American Institute of Certified Public Accountants; New Jersey Society of Certified Public Accountants; New York State Society of Certified Public Accountants; New Jersey Association of Women Business Owners; Collaborative Divorce Association of North Jersey; and, former member of Mahwah Regional Chamber of Commerce and Paterson Habitat for Humanity. A life-long resident of Bergen County and a sole practitioner, Angela prides herself on providing her clients with personal, one-on-one service. She is uniquely qualified to assist with everything from ensuring accurate recordkeeping for businesses to responding to tax notices, representing clients during income tax audits, and preparing income tax returns for all types of entities including individuals, businesses, trusts, and estates.